Current state of black/dark tone control and prospects for development. Founder of two LED startups, most recently Bridgelux. Graduated with PhD in EE from North Carolina State University. Dr. Liu became well known in the LED industry with his development of the breakthrough high throughput GaN MOCVD reactor technology in 1994. 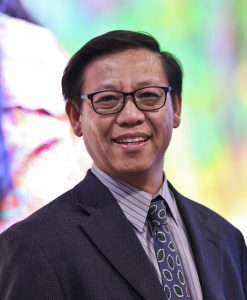 Dr. Liu continued his research work at one of the world’s top LED research groups, Hewlett-Packard’s Optoelectronics Division, where he pioneered Hewlett-Packard’s GaN blue LED development, creating several generations of products that led to the foundation of what later became Lumileds. Dr. Liu cofounded Bridgelux Inc. in 2002, a company which pioneered the early development of high power LED devices and is now a leading provider of high power LED array products for the Solid State Lighting industry.